Everywhere it seems, people share their concerns about "what the world has come to." With battles raging both across the sea in far-off lands and here on our own streets, it seems that more and more people are looking to the government to make them more safe and secure. This, however, is the wrong place to be looking. As harsh as it sounds, when it comes to self-defense and so-called "homeland security," the responsibility for personal security and safety rests with the individual - NOT with the government. While we, as citizens, can do little more than show our support for the thousands of troops fighting our country's many battles around the world, each of us can take a more proactive role in dealing with the hostilities and assaults that are going on all around us right here at home. Here's a list of 10 tips for anyone who wants to make themselves more safe and secure, regardless of whether they're traveling or staying at home. 1. Acknowledge that danger exists in your world and has the potential of touching you or someone that you care about. Ignorance, when it comes to avoiding and escaping from danger, is not bliss. 2. Stay informed about the types of dangers, including criminal activity, prevalent in areas where you find yourself. Knowing what you're most likely to face is the first step to being able to handle it should it happen. 3. Establish multiple routes to and from the place you frequent most. As a minimum, everyone should have at least two routes to and from home and work. This makes it more difficult for you to be pinned down by someone who knows your routine. 4. Acknowledge that it's your responsibility, not that of the police, to keep yourself safe. As a former police officer I know that the police cannot keep you safe from anyone who truly wants to harm you. Realize that you, and you alone, will be the first one "on the scene" of the assault or other danger and responsible for dealing with the attack. 5. 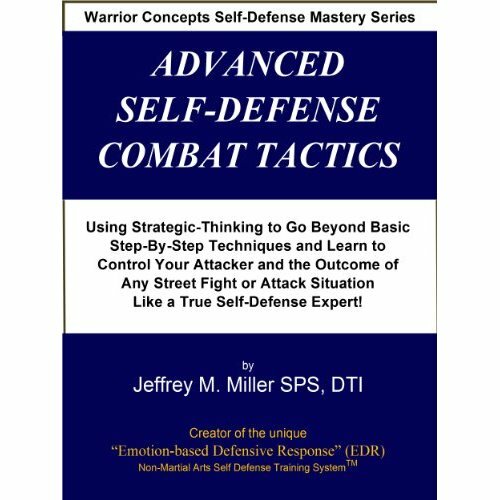 Learn a few tactics for effectively avoiding or escaping from danger that do not require physically fighting with your assailant. 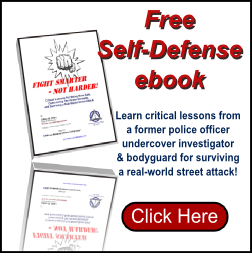 There are some very good books and videos available, like "Danger Prevention Tactics: Protecting Yourself Like a Pro," that can provide professional advice you can use to keep yourself more safe and secure. 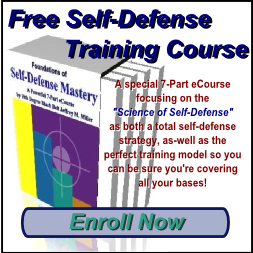 Simply click on the box at the right and start your "Foundations of Self-Defense" mini-course, and I'll start sending the information to you right away! Need a Speaker or Trainer for Your Next Event? 6. Move away from dangerous areas. If you work or live in or near a high-danger area, you are more likely to be the target of an attack. 7. 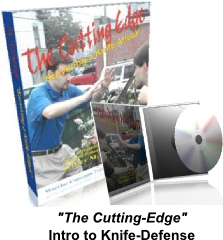 Establish or get involved with a neighborhood watch program. There is truth in the "safety-in-numbers" philosophy and criminals will almost always seek out easier prey instead of risking being caught in the act. 8. 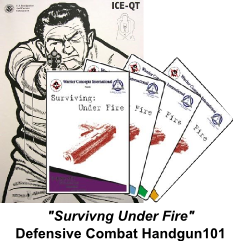 As a minimum, take a class or course in basic self-defense tactics. 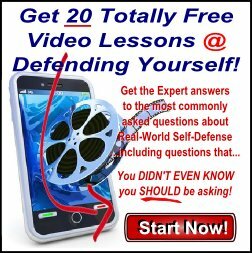 Make sure that you check the instructor's credentials as many karate teachers have no real-world self-defense experience. And, a trophy or black belt are no indicators of someone's experience in this area. 9. Have escape routes set up for evacuating your home or workplace should it be invaded. There should also be a saferoom designed where family members or employees can secure themselves should they not be able to get out of the building. 10. 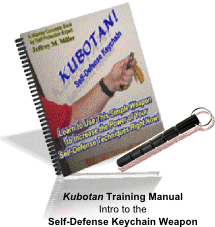 Take the concept of self-defense seriously. Remember that every victim, regardless of the danger they succumbed to, had the same thought before their ordeal. They all once thought, "it will never happen to me." And... They were all wrong! 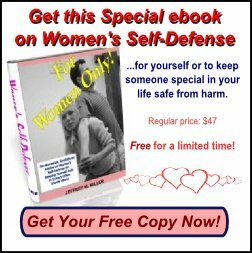 In Today's often violent world, self-defense is no longer a choice - it's a responsibility. Accepting the reality that, with the addition of terrorism to the ever-present threat of gang activity, drug wars, and the myriad of other crimes of violence, it's each person's responsibility to be personally capable of defending themselves should that need arise.